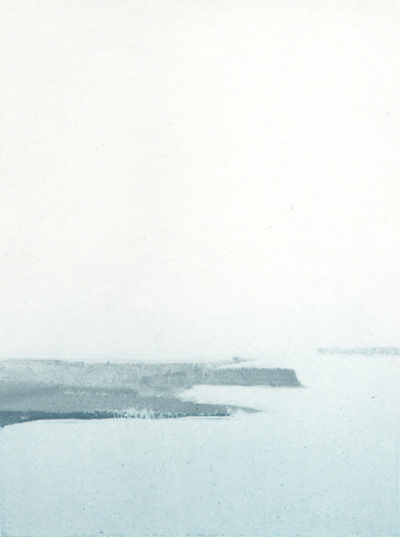 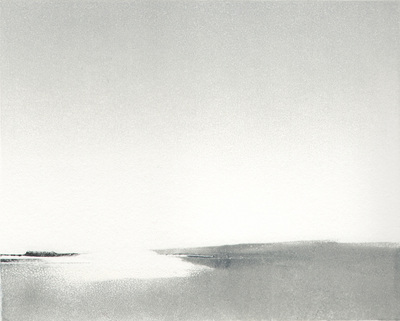 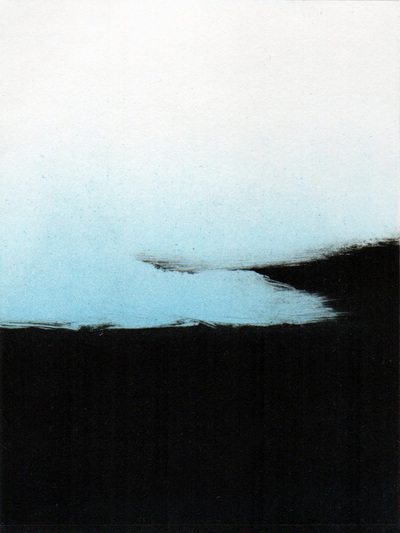 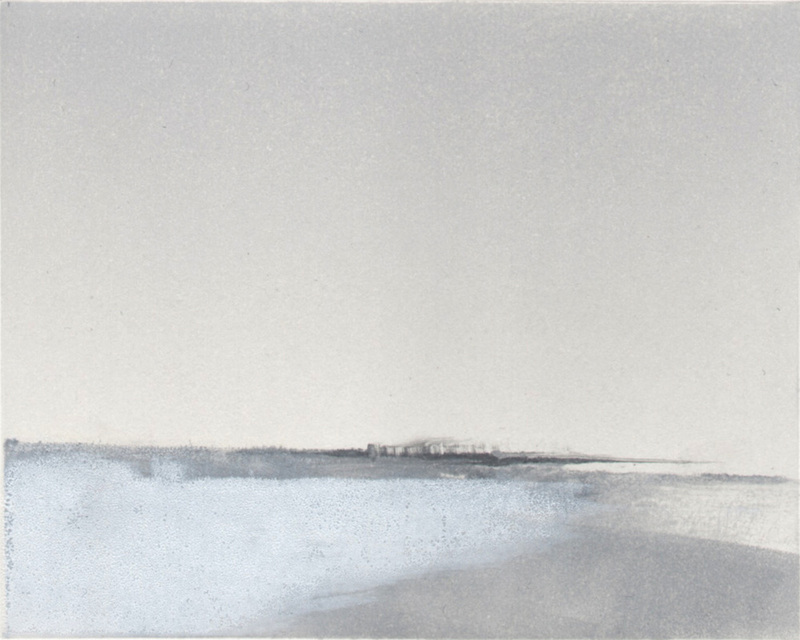 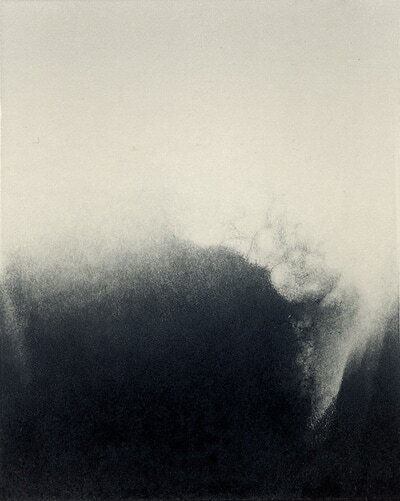 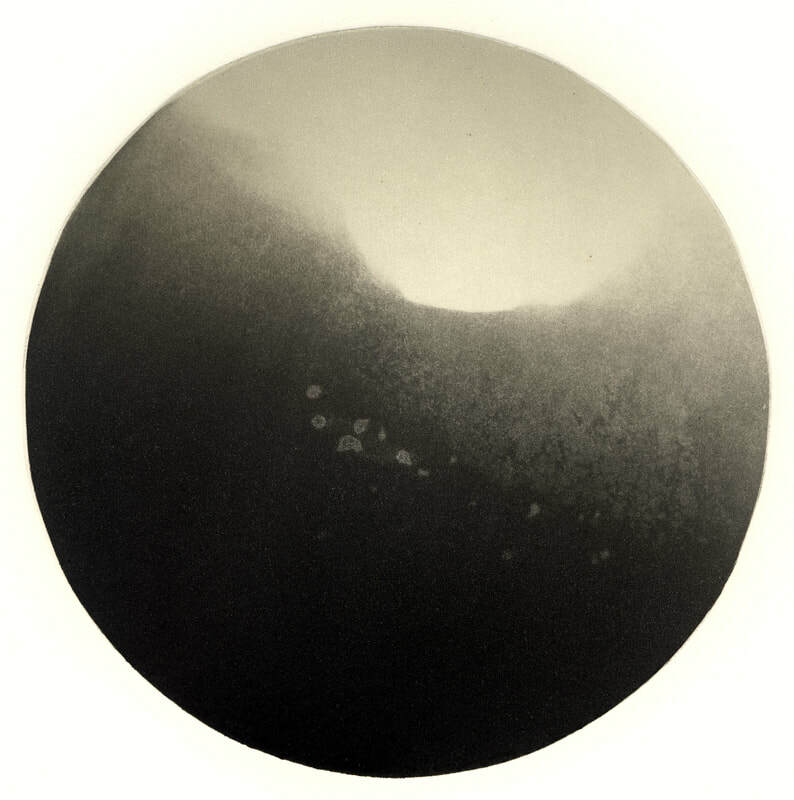 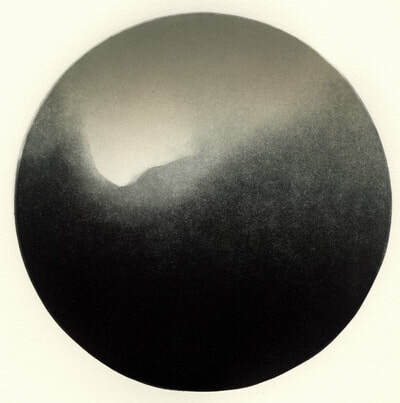 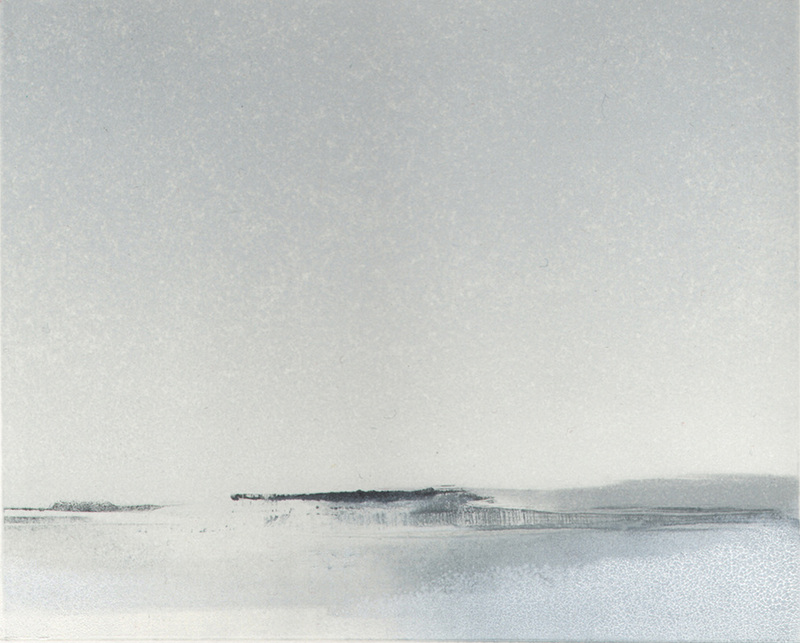 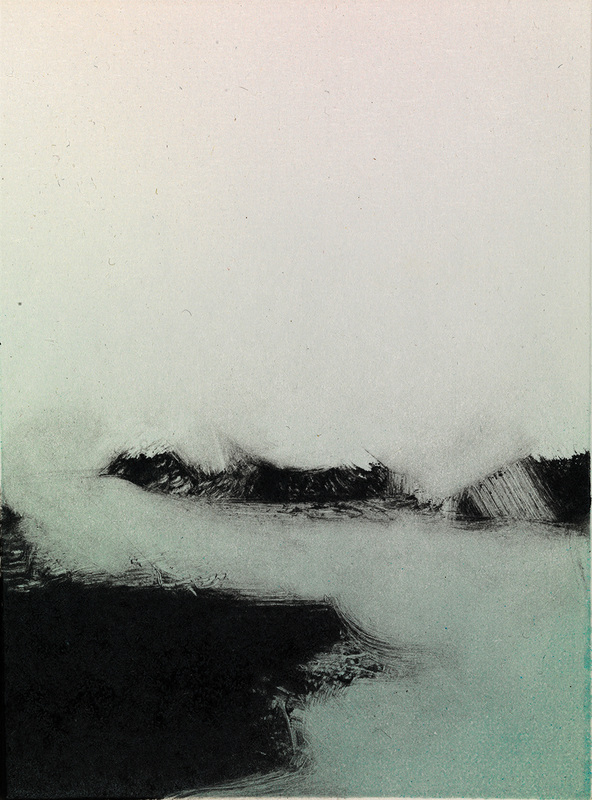 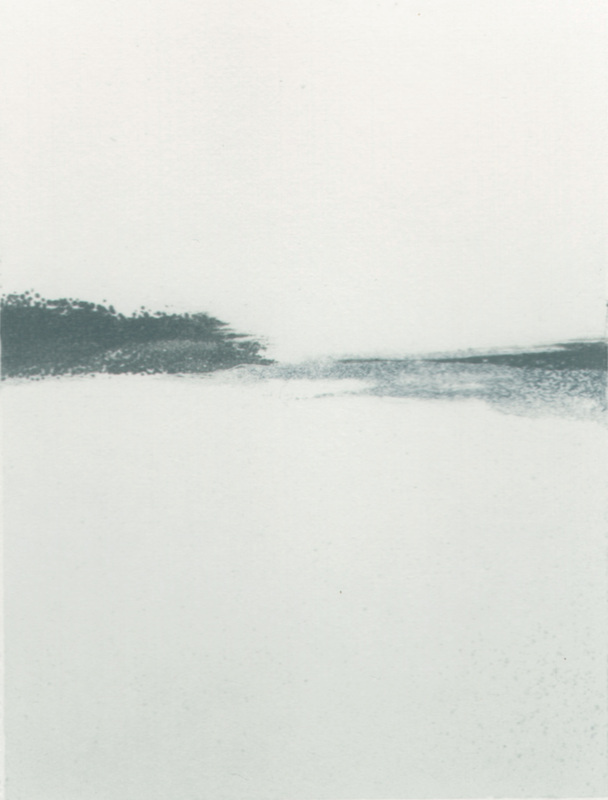 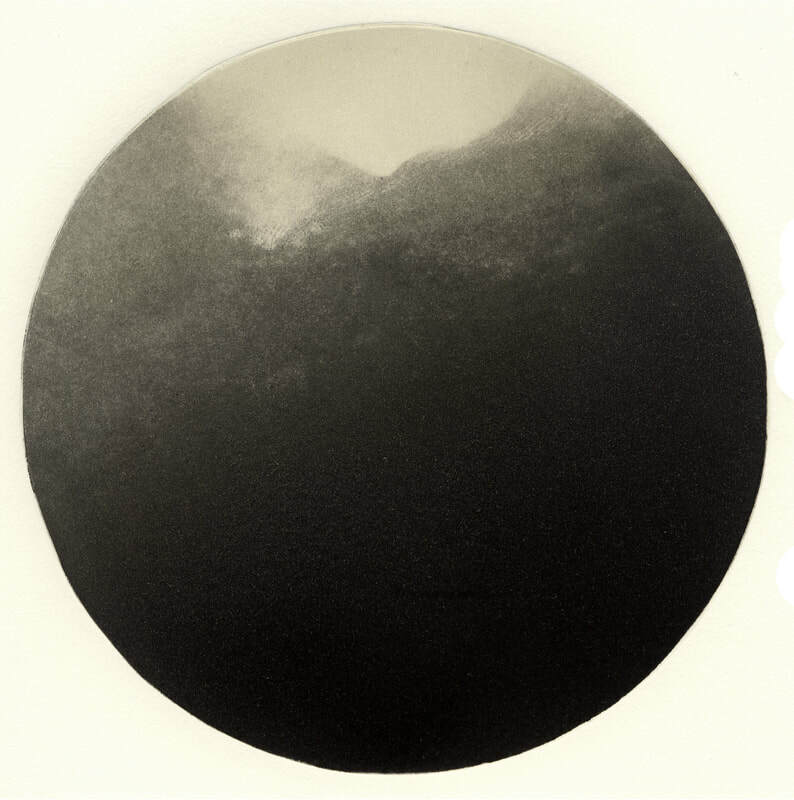 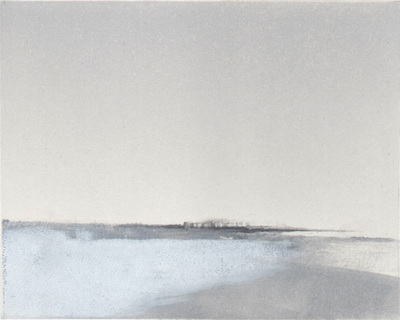 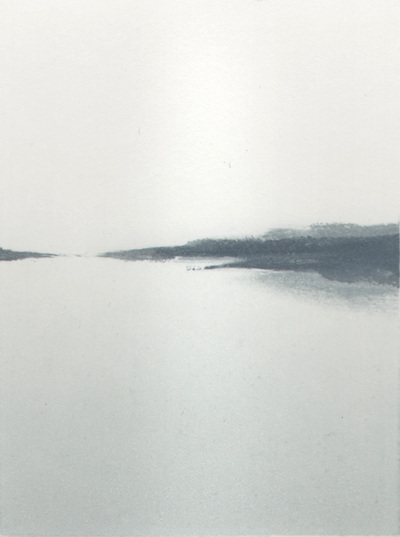 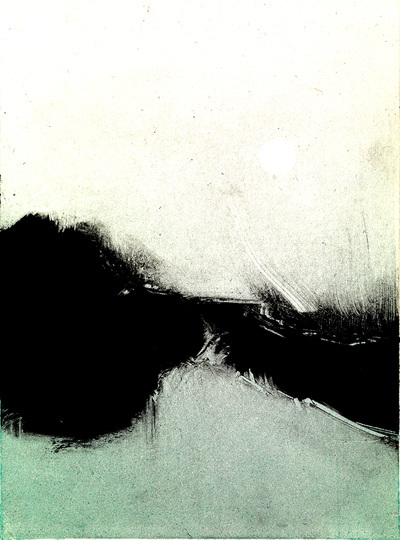 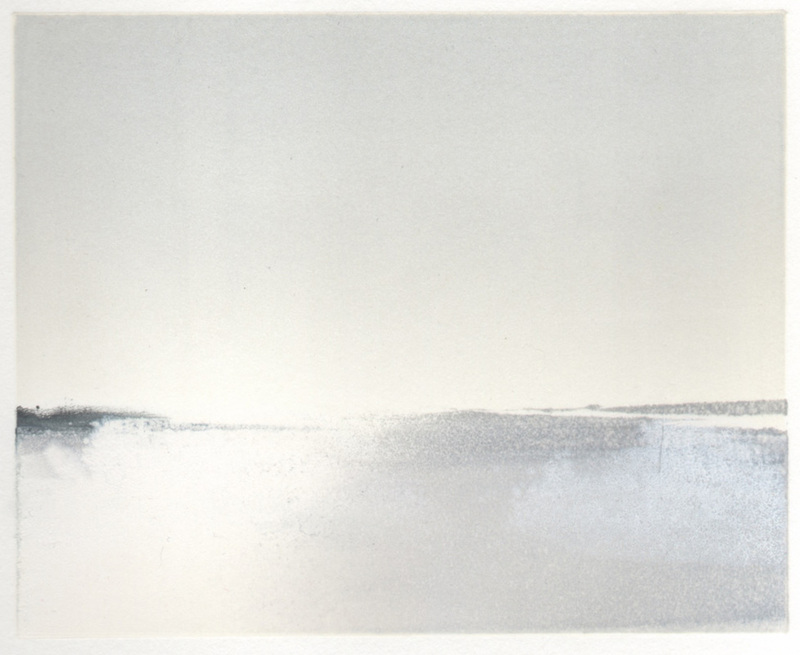 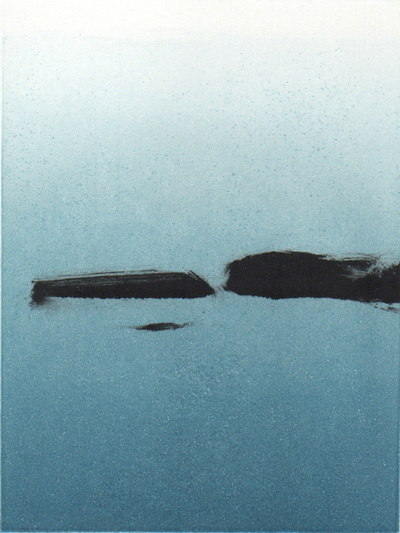 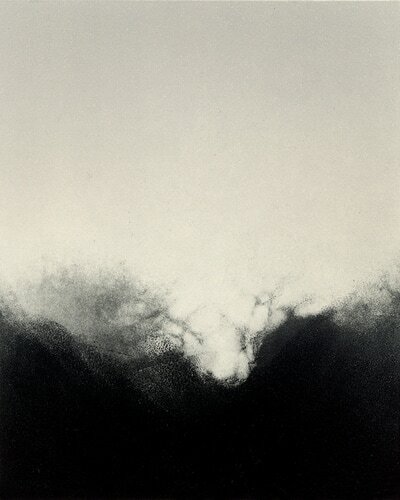 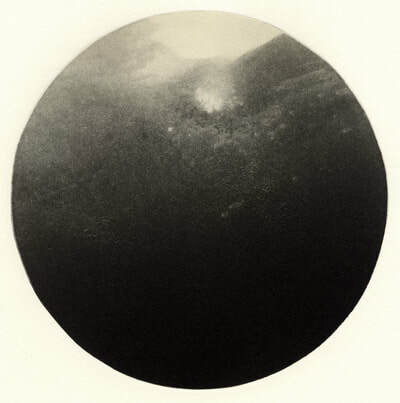 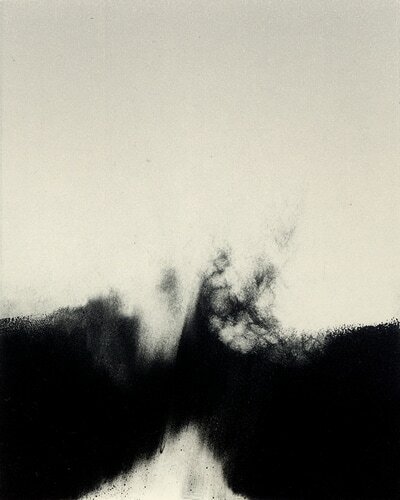 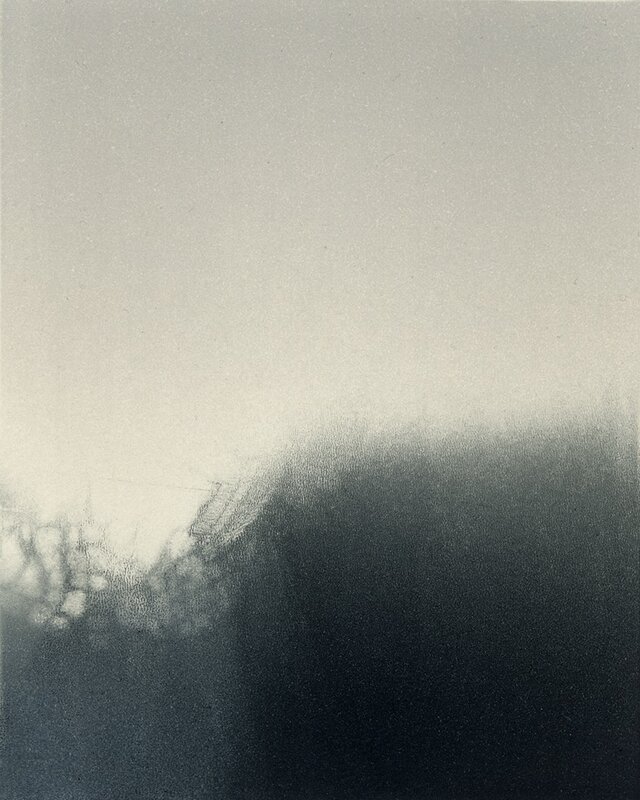 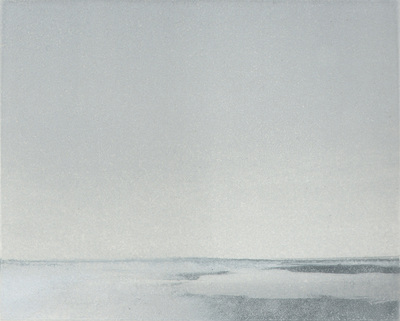 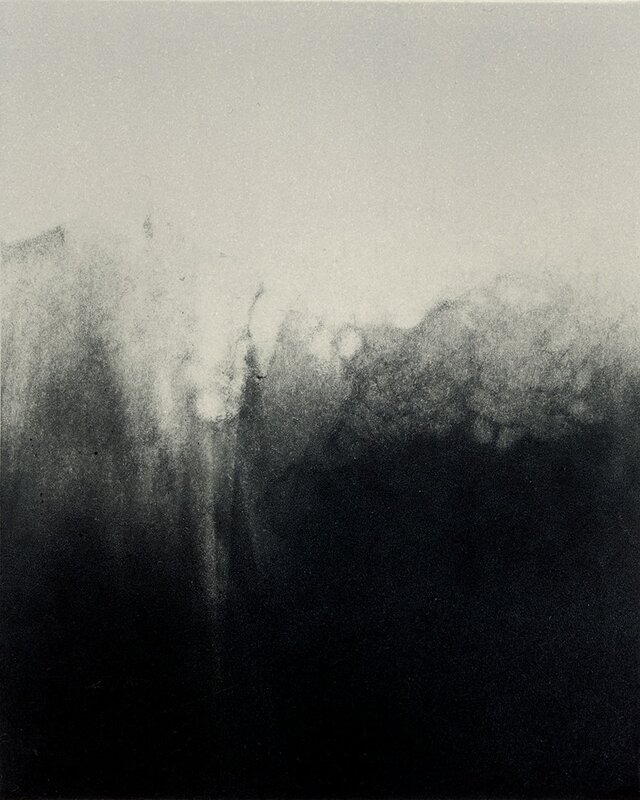 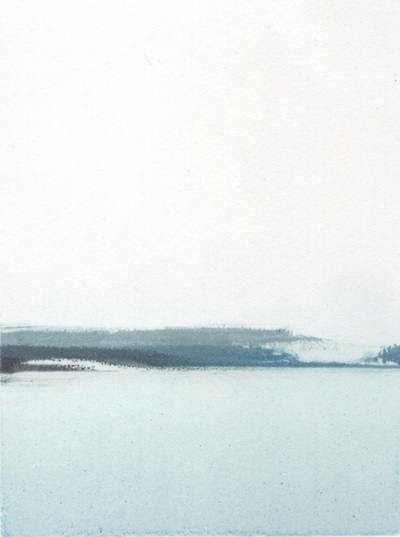 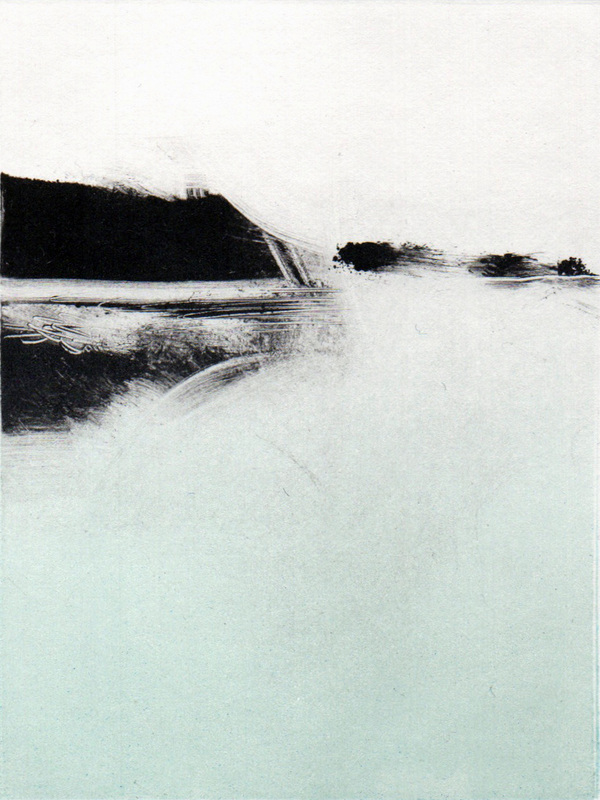 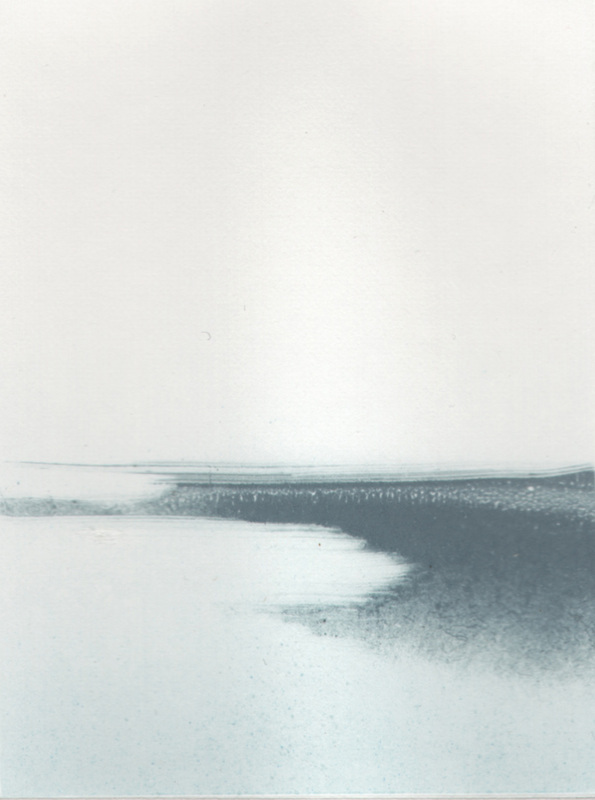 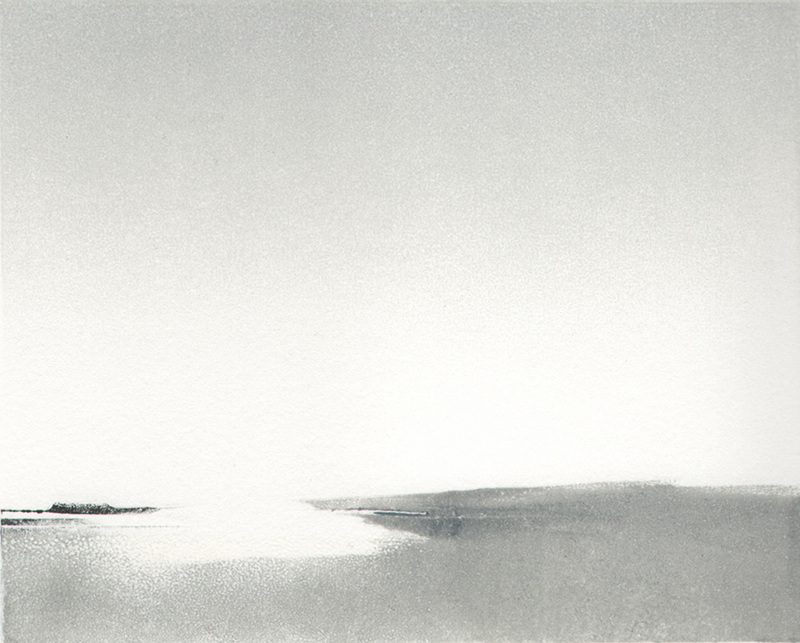 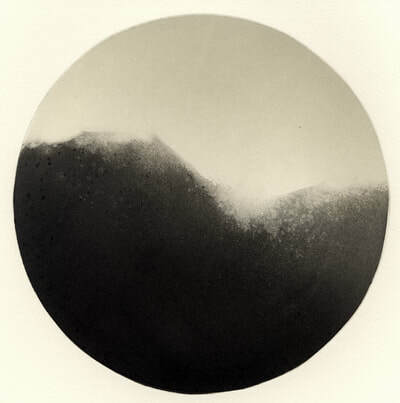 Each of my monotypes [unique and worked spontaneously] most often yields a landscape with water — moving, still, or frozen. The intimate prints are not direct translations of named locations. They are moments I recall — from the coast of New England to the Antarctic peninsula.